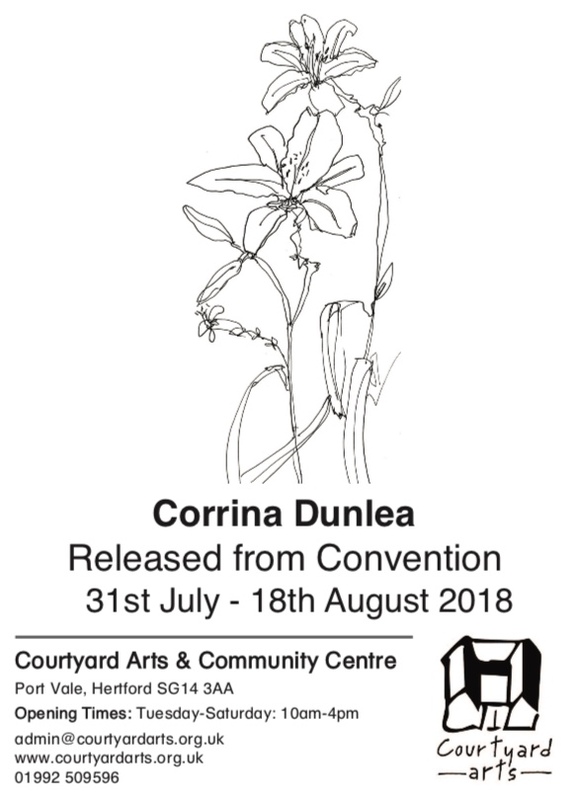 COURTYARD Arts is honoured and delighted to welcome artist and former Courtyard director Corrina Dunlea for an exhibition of her latest work. Released from Convention runs at Courtyard Arts Gallery to 18th August 2018 and showcases lively works in ink, watercolour and mixed media, all in Corrina’s uniquely distinctive style. Corrina Dunlea is curator for Harlow Art Trust and played a key role in the development of Courtyard Arts as its former Centre Director. Released from Convention runs at Courtyard Arts Gallery to 18th August 2018. The gallery is open 10am – 4pm, Tues-Sat, entry is free.